Are you looking to go from Cancun to Valladolid, Mexico? In this post, I’ll quickly run down the three basic options you have for getting from Cancun to Valladolid: drive, take a bus, or take a tour. I’ll run through specific step-by-step instructions for each option. Oh, and if you’re going to Valladolid from Cancun, be sure to check out my Ultimate Guide to Valladolid, Mexico! From exploring Chichen Itza and Ek’ Balam to taking a dip in cenotes, it covers some of the best things to do in Mexico! I know, I know: driving in Mexico seems scary right? Well, actually it’s not that bad. The road from Cancun to Valladolid is a straight shot along 180 D, which is a modern and wide road that’s probably not that different from driving in your home country. The drive from Cancun to Valladolid is a little under 2 hours. Just be sure that you have travel insurance for Mexico that covers a car rental, because rental car companies in Mexico are known for running all sorts of scam. I personally use World Nomads for my insurance here. You can click here to get a quote for insurance from them. The Mexican bus company ADO runs high-quality buses from Cancun to Valladolid multiple times per day. From 8 am until 6 pm, there is a bus to Valladolid roughly every hour, with more sporadic service during the late hours. You can check the exact schedule on the ADO website here. The journey lasts a little over 2 hours and tickets start at 190 pesos ($9) if bought in advance. Note that most American credit cards will not work for purchases online on the ADO site (don’t get me started on that … sigh!). Instead, you’ll need to purchase at the ADO station itself (where, weirdly, those same credit cards are accepted). That stinks because sometimes the buses book up, but the good news is that usually you’ll just have to wait an hour for the next bus in that worst-case-scenario. If leaving on a specific bus is important to you, I suggest going to the station a few days in advance to buy your tickets, or buying at the ADO stands outside baggage claim at Cancun airport. Sometimes you just want someone else to take care of all the details right? Well, in that case, consider taking a tour from Cancun to Valladolid. Most tour companies will pick you up at your hotel in Cancun, drive you to Valladolid, and take care of all the details so that you don’t have to worry about how to get from Cancun to Valladolid on your own. 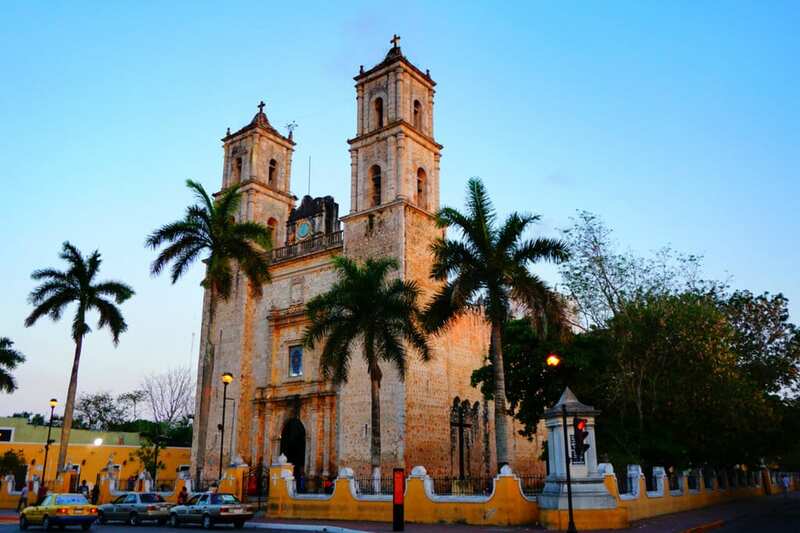 Day Tour from Cancun to Valladolid (Plus Cenote) – If you’re really looking to focus your trip to Valladolid on exploring this magical town (beyond just the main square), then this tour is for you! You’ll dive deep into this awesome and under-touristed town. Click here to see pricing for this tour. Cancun to Valladolid, Chichen Itza, and Temezacal – This tour will take in Chichen Itza, the most popular tourist site in Mexico and one of the New Seven Wonders of the World, the town of Valladolid, and will include a bonus visit to a Temezacal – a traditional sweat lodge! Click here to see pricing for this tour. 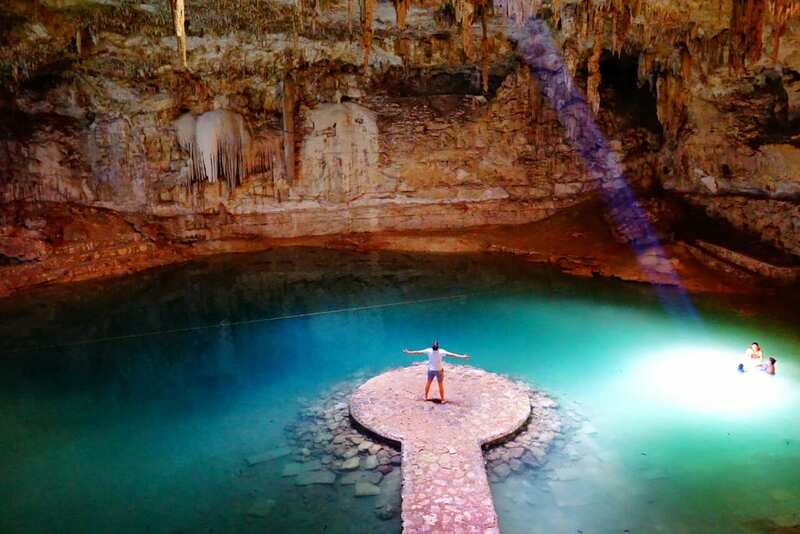 Cancun to Valladolid, Chichen Itza, Ek Balam, and a Cenote – This jam-packed tour not only takes you from Cancun to Valladolid and Chichen Itza, but it also covers the must less touristed Mayan site of Ek Balam and will take you swimming in a cenote! Click here to see pricing for this tour. Valladolid is an incredible town – it’s one of my favorite places in the Yucatan peninsula even after six months traveling here – and it really deserves more than a day trip from Cancun. So, if you have the time, opt to stay a night in town. El Meson de Marques – A quality hotel north of the main square, and probably the popular place to stay in Valladolid. You’ll love the rooftop views of the cathedral. Click here to check prices on Booking.com. Casa Tia Micha – A colonial-style boutique hotel, with an adorable atmosphere. They serve a great breakfast in the courtyard come morning. Click here to check prices on Booking.com. Hostel Candelaria – A great place to stay if you are backpacking Mexico, Hostel Candelaria impresses with its friendly staff and large public areas. Click here to check prices on Booking.com. Or, instead of shelling out for a hotel, why not rent an entire apartment through Airbnb and have access to a full kitchen, more space, etc.? And if it’s your first time using Airbnb, you can get $40 off your first booking with this link! For a complete list of great places to stay in Valladolid, check out my Ultimate Guide to Valladolid here. That’s it for this guide for how to get from Cancun to Valladolid! But, before you go, be sure to check out my totally free and amazingly-detailed monster Ultimate Guide to Valladolid, Mexico. It’s filled with insider tips about what to eat, where to drink (including a free drink for Travel Lemming readers at one of my favorite bars! ), what to do, and more! 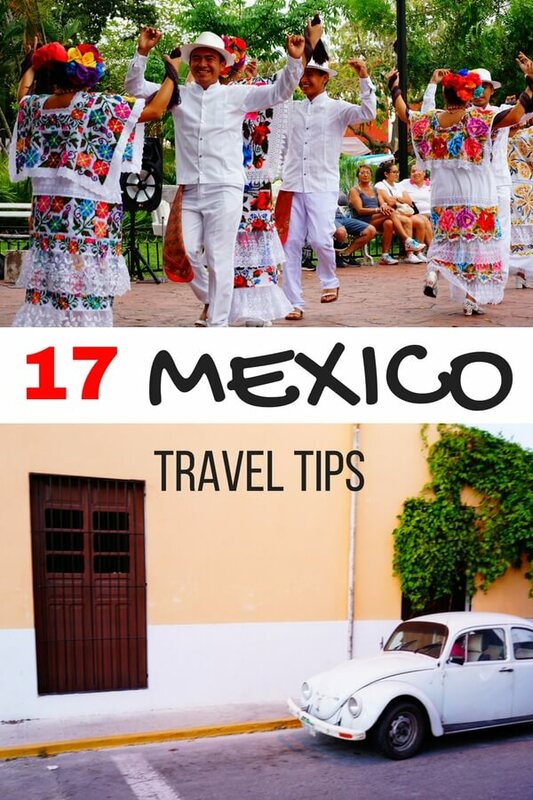 And if you’re traveling Mexico, be sure to also read these 17 Travel Tips for Mexico to help you make the most of your journey and my list of 33 Awesome Things to do in Mexico.